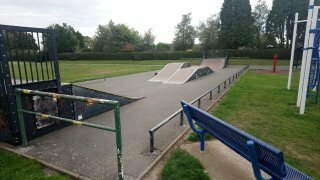 Located on Hermitage Road, just a couple of minutes drive from Coalville Town Centre, Hermitage Recreation Ground has lots of activities for all ages to get involved with. These include an all weather pitch area, 9 hole short course golf course, mini golf course, putting green, play area, picnic area and fishing lake. 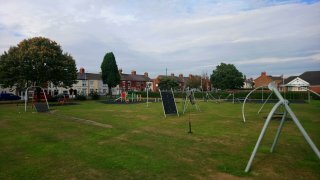 Find out more about the Hermitage recreation ground. Coalville Park is just a few minutes walk away from the town centre on London Road. 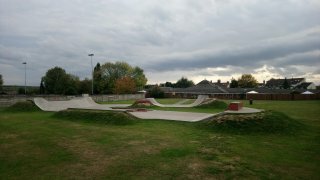 There is plenty for you to enjoy, to suit all age groups including tennis courts, a children’s play area and skateboard park. Take a seat, relax and enjoy the pleasant surroundings of open space, mature trees and attractive floral displays. The national tennis for free campaign is coming to Coalville Park again in March 2019. Watch this space! 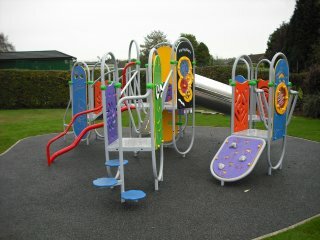 The latest in outdoor fitness equipment has been installed in the park located near to the children's play area. The equipment includes cycling, sit ups, step ups and pull ups to name just a few of the activities the equipment can offer you for a 'workout' with a difference in a green gym. Coaville Park is also home to the Jubilee Mosaics - created in 2012. 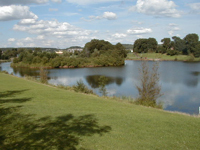 Whitwick Park is within walking distance of the centre of Whitwick located on North Street. There are open spaces, mature trees and floral displays but if relaxation isn’t your thing then there is plenty to enjoy including tennis courts, a children’s play area, skate park and the bowling green home to Whitwick Park Bowls Club. The national tennis for free campaign is coming to Whitwick Park again in March 2019. Watch this space! If you would like try your hand at a game of bowls you can ‘pay and play’ or alternatively contact the Bowls Club for a game as new members will always be welcome. Ibstock Park has outdoor gym equipment, a skate park, a zip wire, a large play area and plenty of open space. The perfect way to relax, unwind and be active. This site is located off Forest Road and provides football pitches with changing facilties and access to the bowling green at the far end of the site home to Scotlands Bowls Club. There is plenty of free parking on site for visitors. The recreation ground is located on Cropston Drive and provides football pitches with changing facilties.